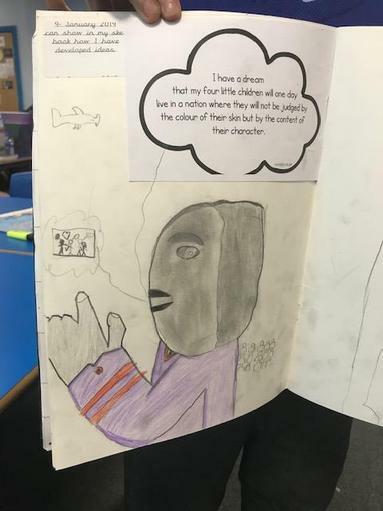 The children have been reading some inspirational Martin Luther King quotes and have drawn what they imagine the quote would look like. 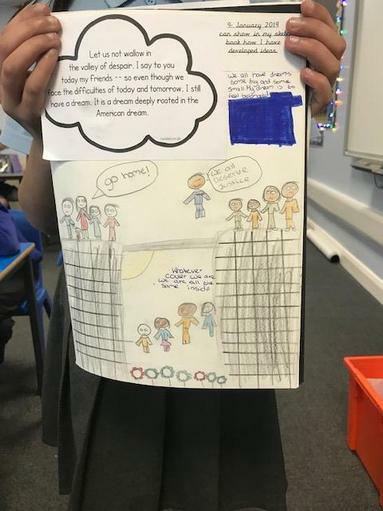 They have enjoyed reading and understanding why Martin Luther King was so inspirational. 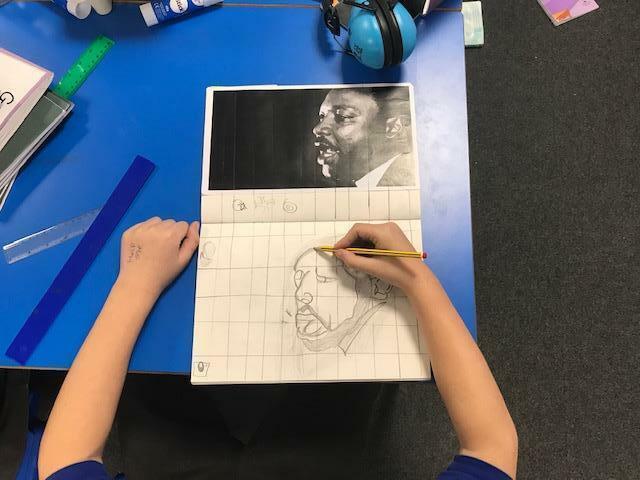 The children have enjoyed drawing portraits of Martin Luther King as part of their art display work. 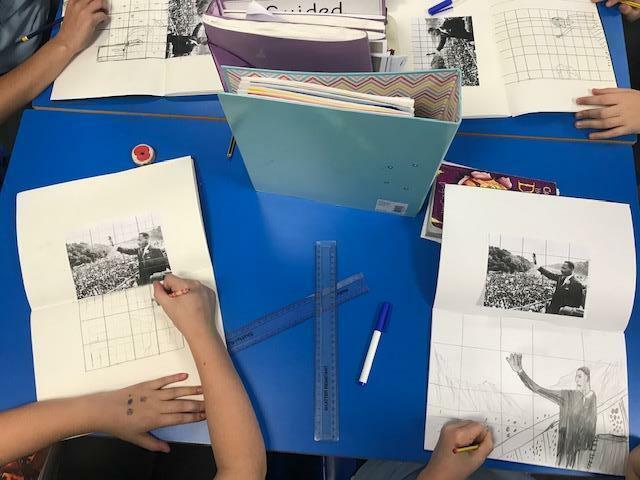 They have used the grid method to help them define the fine details of their work. They have used shading to help add detail and light to their work.